We are so excited to announce that we are launching a 6 week marriage and relationship seminar. 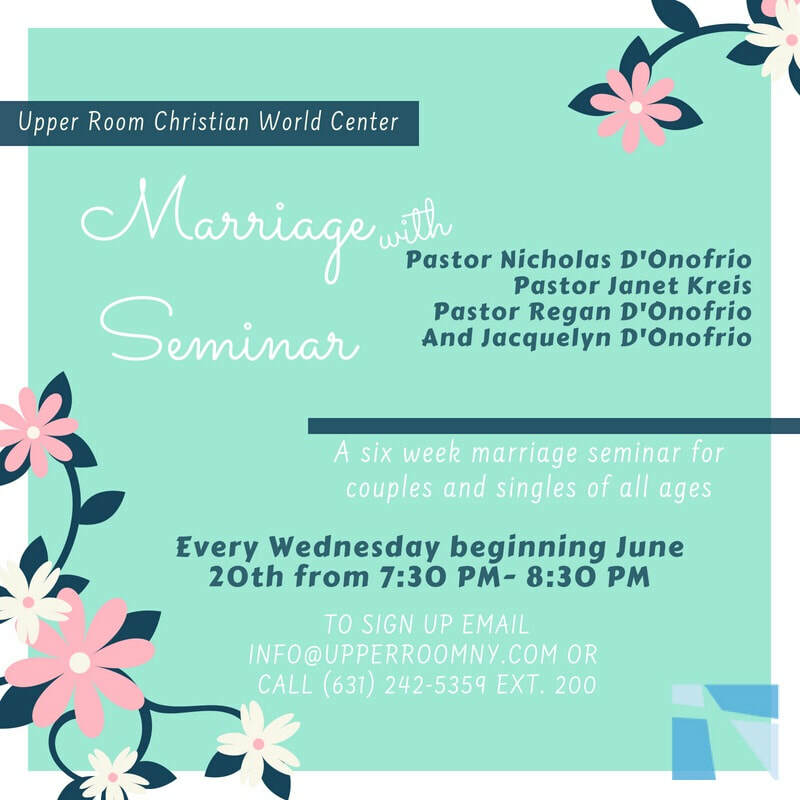 The seminar will be held on Wednesday nights from 7:30pm - 8:30pm beginning Wednesday, June 20th. The seminar is FREE to attend. All we ask is that you sign-up and let us know you will be attending. We are looking forward to these nights where we will learn tools and principles to strengthen our relationships and to grow together in God!